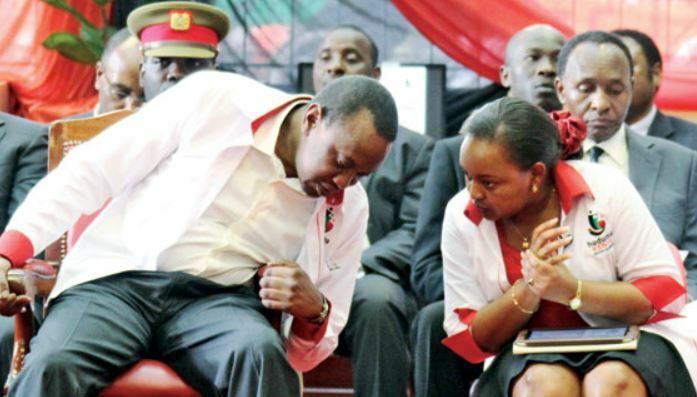 Kirinyaga County Governor Anne Waiguru has rallied area leaders into raising Sh 51.9 Million in two days for President Uhuru Kenyatta. According to the former Devolution Cabinet Secretary, the cash will be used to conduct roadside rallies to mobilize voters in the region to turn out in large numbers and vote for Uhuru in the repeat election. The County boss thanked the locals leaders who include Members of the County Assembly, for contributing generously towards the course. “We have sacrificed ourselves to raise this amount because we want the campaigns for our President in this region to be successful,” she told Jubilee supporters at Sifa Gardens in Kutus on Tuesday. ALSO READ Can President Uhuru edge Raila Odinga out of Western? She praised the unity exhibited by Kirinyaga leaders who were political rivals before the August 8th general election. “Who would have imagined that my predecessor, Joseph Ndathi and former Kirinyaga Central MP, Gachoki Gitari and myself would come together for a common purpose?” she posed. “This time we want to make sure that almost all the voters go to their respective polling stations to vote for the Head of State.We are working day and night to deliver as many votes as possible,” she said.